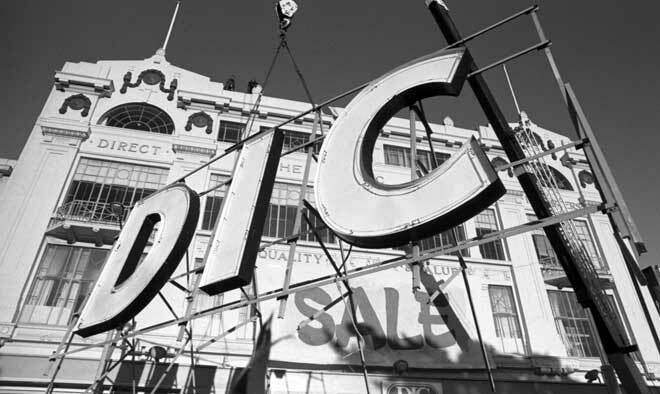 The sign for Palmerston North’s DIC store comes down in July 1989. The Dunedin firm Arthur Barnett continued to run a department store in the building until 1992, when it was bought by the Palmerston North City Council and turned into the public library. The 1928 building was erected for the department store C. M. Ross, which had opened on that site in 1883. A century later, in the 1980s, department stores were in real decline.